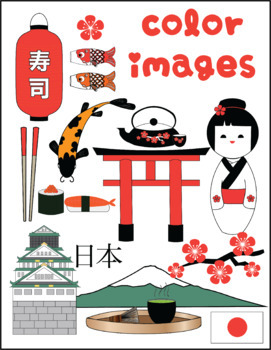 This collection of clipart contains images of popular elements from Japanese culture. 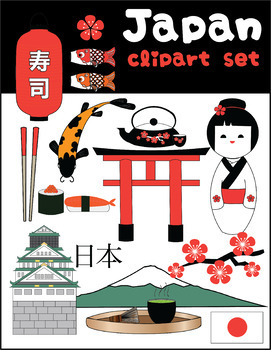 This set includes 17 color and 17 black & white images in PNG format. 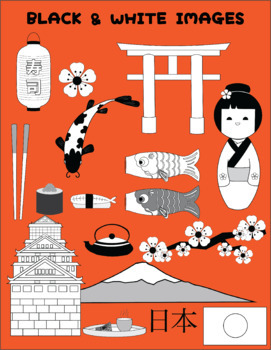 It includes all the images shown on the cover.